Motorola is not that fast when it comes to providing Android updates to its devices. The Moto G5 and G5s series phones are still running Android Nougat, and there is no information when the company is rolling out the Oreo update for those phones. The Lenovo K8 Note and the Moto G5S Plus were launched in the same month last year & the K8 Note is already getting the Oreo Update. This is quite weird because Motorola is a company that works under Lenovo and usually delivers Android updates to its phones faster than Lenovo. Anyways, The Moto X4 (RETUS) is now getting the official Android 8.1 Oreo Update, at least in the USA. This update also brings the April Security Patch along with some enhancements. The update comes with the version OPW28.1 and comes with a size around 1GB. 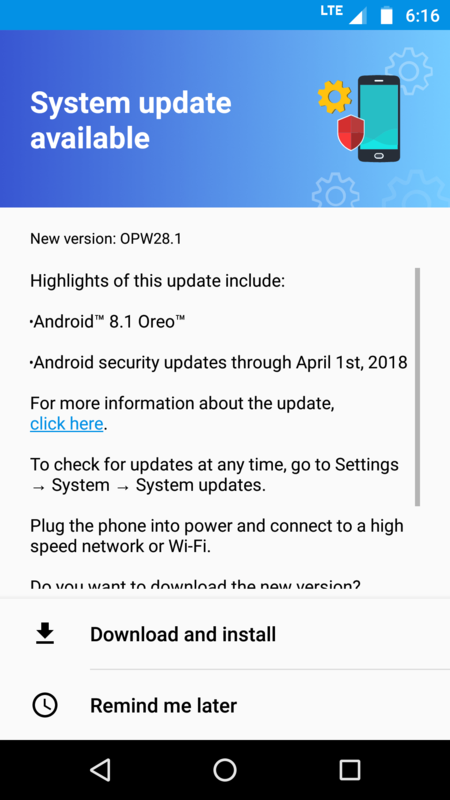 This new update brings Android 8.1 Oreo which features some UI changes like new Power Menu, Round Status Bar icons, Automatic theme change as per the wallpaper etc. If you live in the US and have Moto X4 but still didn’t get the update yet, you can check for the update by going into Settings > System. Did you get the update? Make sure to let us know the changes that you noticed with this new update.